synchronize with the rotation speed of an object at a pre-set flashing frequency, a relatively static phenomenon called visual persistence will occur). with rotation or movement speed of the object. . Although the object being measured moves at a high- speed, it appears to move slowly or static. This is an optical phenomenon of visual persistence whereby high -speed movement of an object can be easily observed with the naked eye. 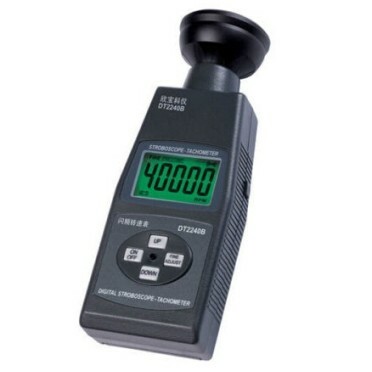 By using this method, the rotation speed of various rotating objects can be measured, and the movement and defect on the surface of an object can be inspected or detected. It is widely used to detect the defects on the surface and movement track of high - speed rotating objects such as various types of rotors, meshing gears, vibration diagnostic equipment as well as textiles, printing production lines etc.